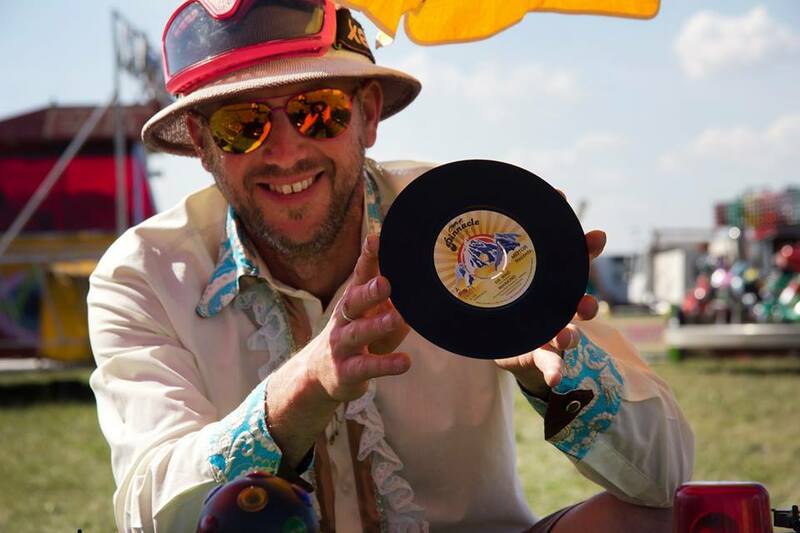 Where Punk meets Rave & Disco Welcome to the World of Unusual Sound Systems – Creative Dynamo Ecotainment! They are the folks who add dash of controlled lunacy to the modern festival experience, providing us with sights (and sounds) that provoke a combination of wonder, bafflement and hilarity. No one has yet come up with a suitable snappy collective name though, so for the moment it’s probably best to describe them plainly as the ‘unusual sound systems’ (USS). DJ Dynamo aka Joimson found his disco at the dump!